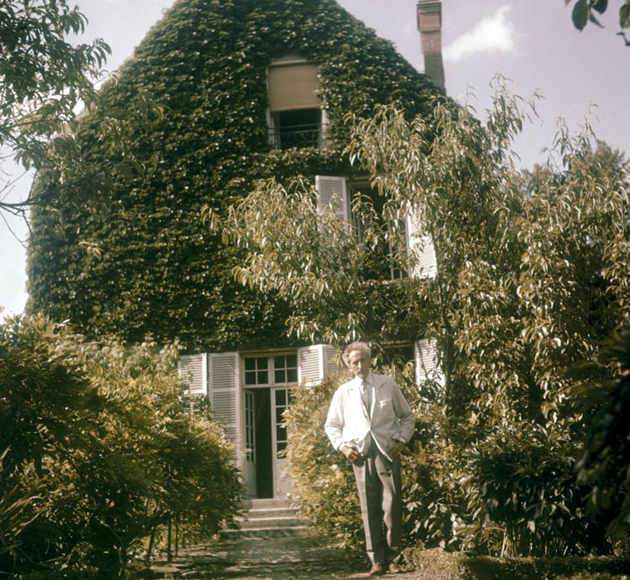 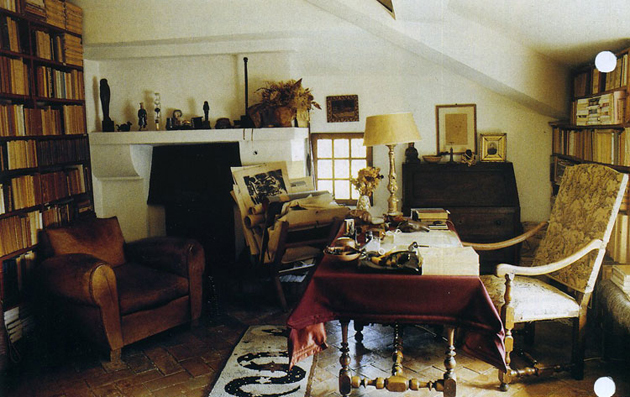 Above is eccentric artist/poet Jean Cocteau’s Milly-la-Forêt maison. 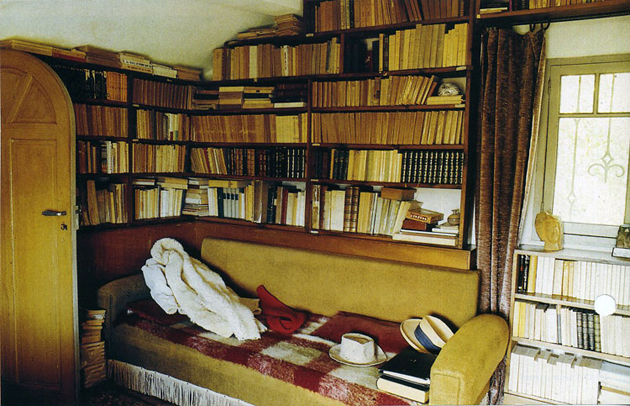 Mr. Cocteau the man who liked to hold professional meetings in his bedroom, where he would lay in bed and smoke opium. 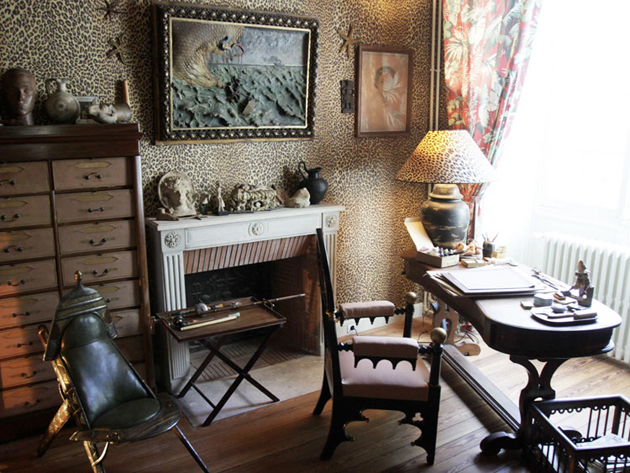 His home, which opened to the public this summer, houses original sketches by Proust and Picasso in addition to portraits by Warhol and Man Ray. 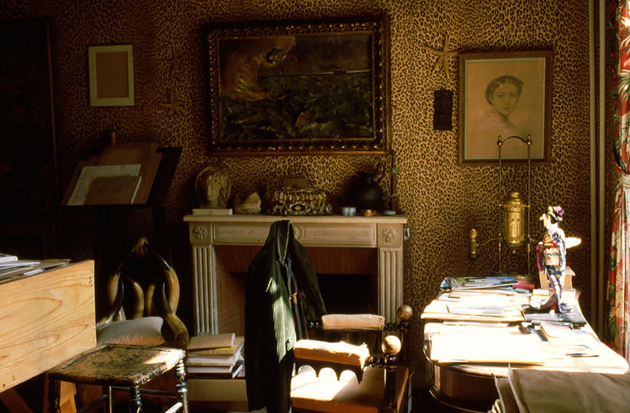 Cocteau insisted that Madeleine Castaing decorate his home, hence the bold leopard wallpaper.